Considering Hardelot was founded by an Englishman, it has nevertheless retained a remarkably French feel despite a goodly amount of regular British visitors. 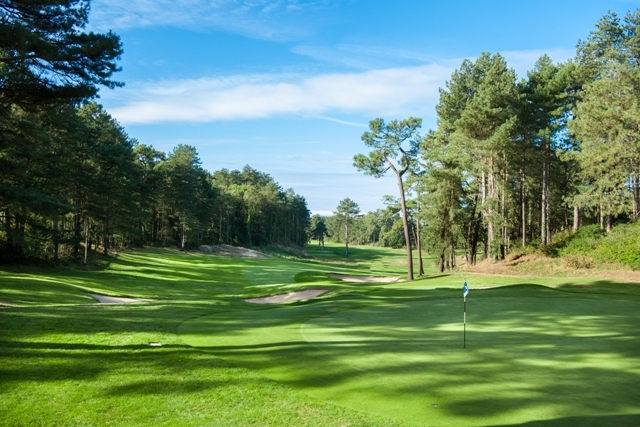 The same could be said of Hardelot’s two golf courses Le Pins and Les Dunes; tricky twin tracks on rolling French Pine forest that has, I suspect, attracted far more golf balls within its branches than the town has had visitors over the years. 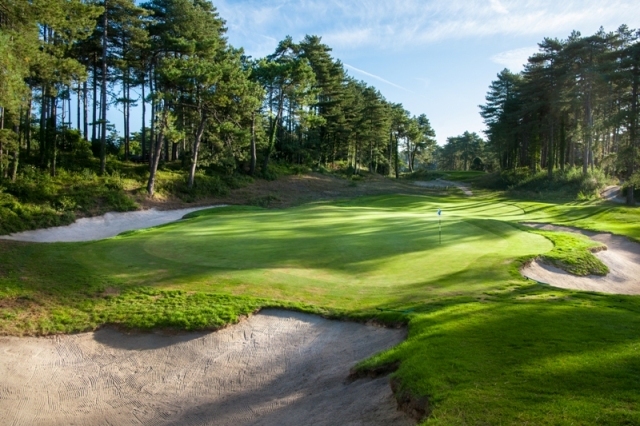 As with Le Touquet, its golfing neighbour just 7 miles to the south, there has been some sparkling renovation work going on and under the steely eyes of golf architects Frank Pont and Patrice Boissonnas both courses are enjoying a new lease of life. Then in 1991 Les Dunes opened to provide slightly less of a test for the more recreational player. All good then. 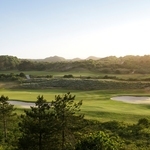 But the situation didn’t sit right with the locals and new owners Open Golf Club As with La Mer down in Le Touquet, war damage had substantially altered Les Pins’ original Simpson layout and the true genius of the design was lost. 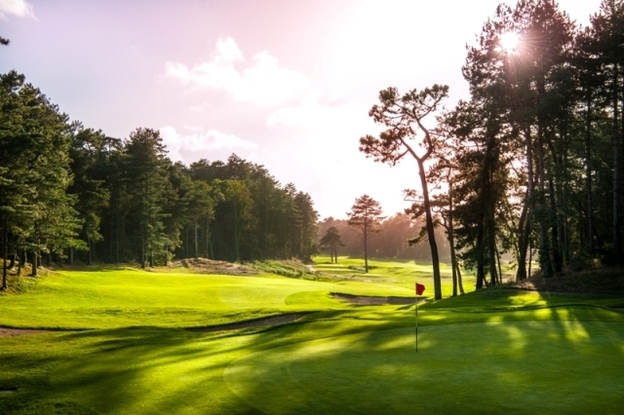 Cue Pont and Boissonnas and some sizeable investment and Les Pins original Simpson layout was restored, catapulting the course to 27 in Golf World magazine’s Top 100 Golf Courses of Continental Europe. That 18th has a few memories for me over the years. Many of them not entirely fond. Mentally, I’m looking forward to an emotional reunion with it next time. Meanwhile, I’m happy to report Le Pins is looking remarkably well and, freed from its post war shackles, is looking every bit the challenge Simpson set it out to be. Many of the encroaching pine trees have been removed, so wider fairways, bunkers remodelled and greens and tees restored. It has a certain Wentworth feel to me now. 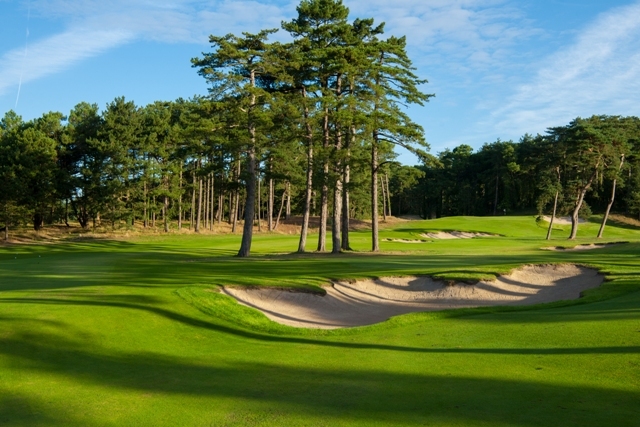 has five Par 3s no less, all of them testing, but none more so than the 175-yard 14th; a glorious raised tee and a narrow lead down to a heavily bunkered green. Other notable holes are the new tee at 11, some impressive bunker work on the 12th and the split fairway gem that is the 15th. 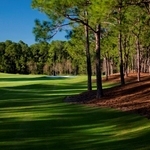 It is a classic risk reward hole; do you take the safe drive to the left of the grove of trees, or try cutting the corner and risking a lost ball. 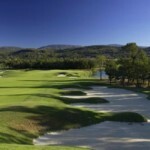 It has been a long wait for the renovations at Les Pins to be completed, but as far as I am concerned it has been well worth the wait. Simpson’s masterpiece has been restored and the world is in balance once again.